Thought I'd document my journey through the latest re-re-engineering I'm doing on the back of my S13 coupe. 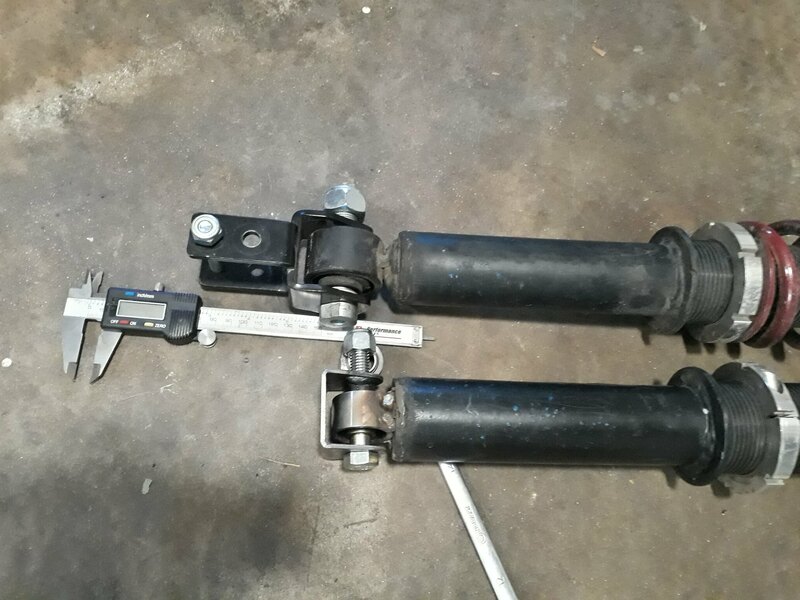 R33 subframe, Z32 knuckles, Response Type Z32 to S13 Coilover conversion brackets, Veilside Koni 861x housings with G/C sleeves. I bought these VS housing from PJ at Nationals in 2016 and have been running them for over a year. About 6 months ago, I installed some Z32 knuckles using the Response Type conversion brackets because I'm lazy and I like OTS stuff if it works well. They say in the product description that the brackets lower the shock travel, but I didn't think much of it. I noticed recently that my S13 started clunking badly in the back. I inspected the right rear shock and noticed the shock mount bushing had completely failed and the eyelet was smacking the RT bracket. I also noticed that with the car on the ground, I had very little travel before the housing hit the bump stop. I am converting to FK CP10 weld cups that accept a COM10 heim that I can replace as needed. 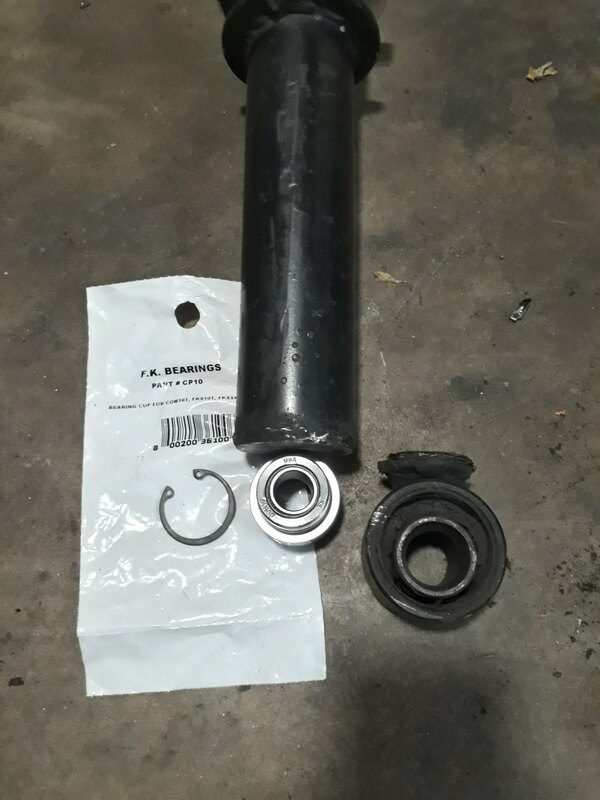 This removes the rubber bushing, provides more shock travel, and prevents binding since the heim can articulate fully in all directions. The bumpstops are the full length as well, and I've heard of people cutting them down so I removed about 15mm. I am hoping to get about 1.5-2" of shock travel back from the new brackets. I'm using some upper shock mounts from Summit with some brackets to use the aluminum solid bushing from the RT kit in the Z32 knuckle. Any reason you didn't just toss a fork on the housing and gain a ton more travel? S13s are travel limited in the rear even mounting to the upright itself. That adapter looks to take away ~1.5" of it, which is a lot. The adapters removed the bushing in the knuckle. I can convert to a heim in the knuckle bushing if I need to later on, but my new setup seems to have enough travel. I drove it the other night and I noticed the rear was much more compliant over bumpy roads in corners.